Attorney Jeremiah D. Runkle was born and raised in Snyder and Union Counties. Jeremiah graduated from Meadowbrook Christian School in Milton, PA and then completed his undergraduate degree in Business Administration at Messiah College. Following college, Jeremiah worked in business management for a group of small businesses near Harrisburg, PA. In that capacity, he gained wide exposure to financial, human resource and property management before deciding to attend law school at night at Widener University School of Law. 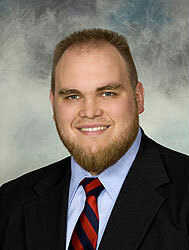 Jeremiah graduated from Widener in 2008 and was admitted to the Pennsylvania Bar in October of 2008. After nearly 10 years in the Harrisburg area, Jeremiah decided to return to his roots and joined Attorney Ax’s practice in January, 2009. Jeremiah serves as the solicitor for several local government entities and is a member of the Pennsylvania Bar Association and the Union/Snyder County Bar Association, where he has served as the vice president & the treasurer. Jeremiah is a licensed title insurance agent and greatly enjoys handling real estate matters. Jeremiah has been honored by his peers by selection as a Rising Star through the Super Lawyers program for five consecutive years. Jeremiah is also a member of the Buffalo Valley Sportsman Association, where he enjoys practicing at the handgun range and preparing for deer season. Attorney Charles J. Ax, Jr., better known as “Charlie”, has been a long-time resident of Snyder County. After 3 years service as a Captain in the U.S. Army and graduating from Vanderbilt University School of Law in 1969, Charlie moved with his wife, Paulette, to Snyder County in 1972. For over 40 years Charlie has served as a trusted legal advisor to many people of the Central Susquehanna Valley by guiding them through estate planning and administration, real estate transactions, business and municipal issues and domestic matters such as divorce, custody and support. He has also served as the solicitor to Snyder County and on the Pennsylvania Governor’s Judicial Advisory Commission to appoint several judges. 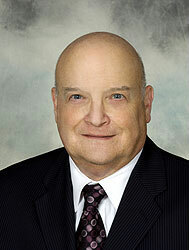 Charlie is a member of the American, Pennsylvania and Union/Snyder County Bar Associations. In 2013, Charlie was awarded the Brad M. Jackman Award of Excellence by the Pennsylvania Children and Youth Solicitors Association, recognizing him as “Solicitor of the Year”. When Charlie’s not practicing law, you can find him browsing antique stores, attending woodworking seminars or “making sawdust” in his workshop. Attorneys Ax and Runkle are assisted by their professional and experienced paralegals & legal assistants Debra A. Fultz, Jennifer L. Aucker, Brittany Reichenbach and Diane Yoder.